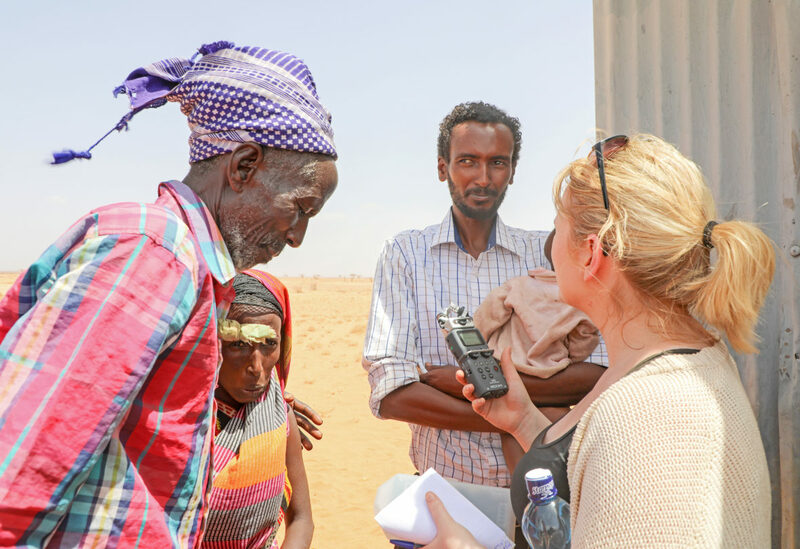 Concern Communications Officer Catriona Loughran reflects on her visit to drought-stricken northern Kenya earlier this year. The communities she visited continue to suffer the devastating impacts of recurring drought and failed rains. Kenya was in the grip of a severe drought when I visited Concern’s programs in Marsabit back in February. Almost everyone I spoke to was praying for the rains to come. They had been driven to despair after months of no rain. Animal carcasses lay scattered on the ground as we traveled through the region. For nomadic herders communities in northern Kenya, each carcass represented another cruel blow to a family’s future. Their livelihoods were wasting away before their eyes. 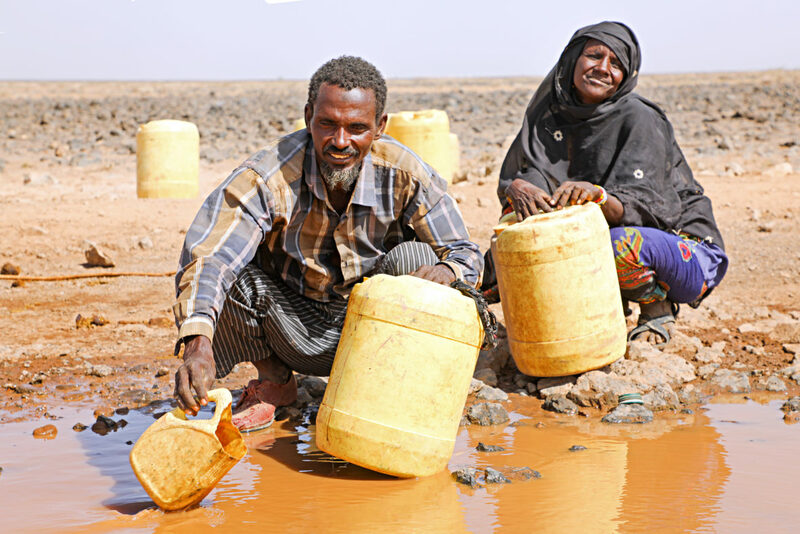 As the water dried up, so too did their income. Many were going days at a time without food. Atho Shama was one of the many people I met who were praying for rain. Our paths crossed as he approached Concern’s health center in Basbelesa. He was carrying five-month-old Adano in his arms, while his wife, Iyesa — visibly weakened by hunger — struggled to keep pace with him. 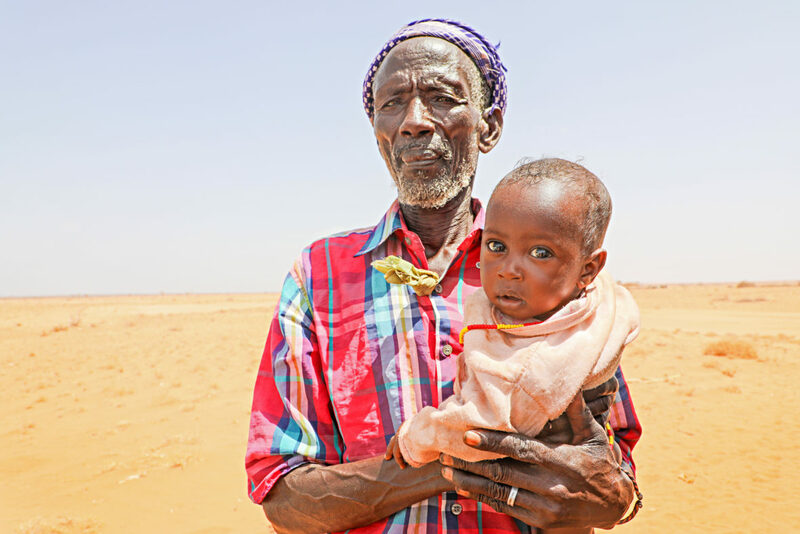 In all his 78 years, Atho had never experienced a drought as long and ferocious as this one. In food crises such as this one, it is always the vulnerable people who are at most at risk from hunger. Iyesa was not the only mother I met who was struggling to cope with a lack of food. 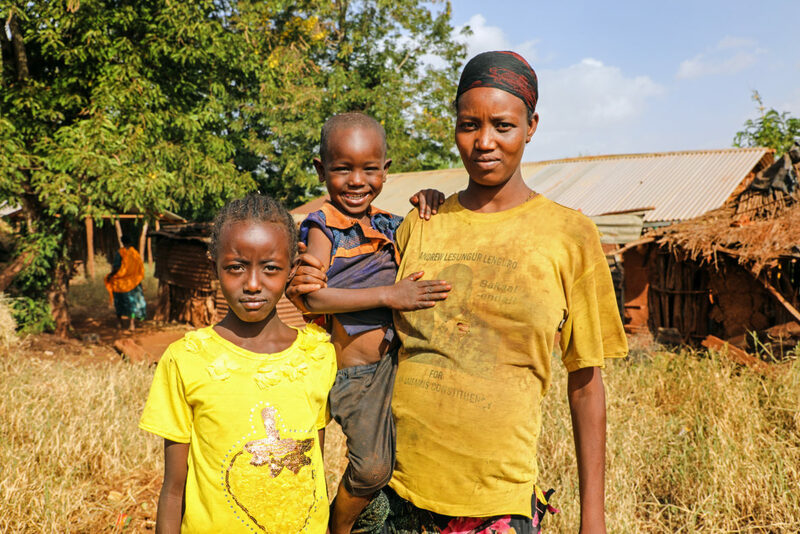 In emergency situations, like the hunger crisis unfolding across East Africa, it is the young, the elderly, and pregnant and lactating women who are most vulnerable. En route to the village of Yaa Algana, we encountered 51-year-old Budha Tura, along with her neighbor Enow Wanyo, and his herd of goats. Budha was scooping water into a jerry can from a muddy pool following a brief rain shower. The water looked dirty and potentially harmful, but Budha and her family were desperate. With her donkey unable to travel, Budha relied on word of mouth about watering holes that pop up along the deserted plains after small bouts of rain. With a stroke of luck, she heard about this particular watering hole from Enow, who made the hour-long journey with her. The pool of water looked thick and warm, and it was drying up quickly as another herder arrived with his animals. “Word spreads fast,” said Enow. “It’s a constant competition between us and the animals. They have to drink too, otherwise they die,” he explained. Thankfully, Concern staff were on hand to provide the two neighbors with life-saving aqua-tabs to help sterilize the water and make it safe to drink. “I am happy that I have been given them, especially now since the water I have collected here is dirty,” Buddha said. But clean water was not her only worry. Budha hadn’t eaten that day, and like so many others, had often gone without food for up to three days so that her children could eat. “My stomach hurts from the hunger pains. I feel so bad and have no strength. But I have to keep going for my children,” she told me. Since my visit in February, the prayers for rain have been largely in vain. The seasonal rains in Marsabit typically fall between March and May. But this year they were delayed, and when they finally arrived, they were weak and poorly distributed, offering little respite to the people who so desperately needed them. 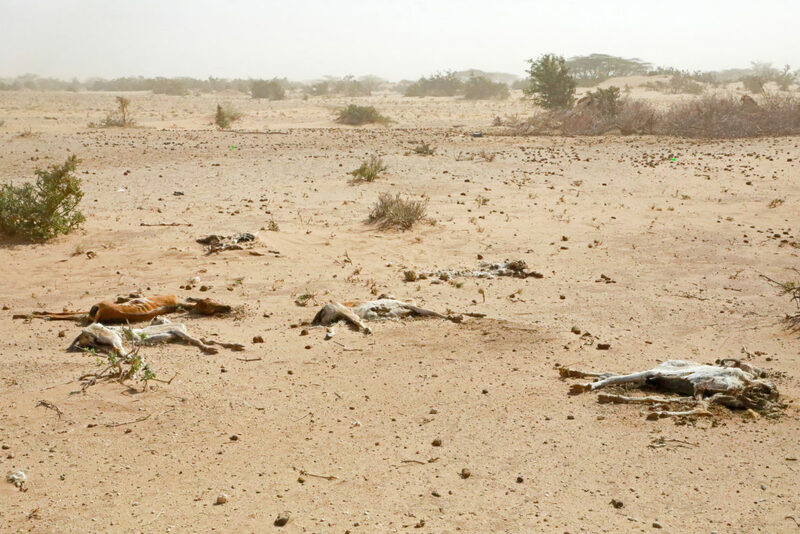 Now the people of Marsabit have entered the long, dry period between July and September. Their situation remains precarious. And across the country, some 2.6 million people are severely food insecure and at risk of starving. The government is doing what it can to provide relief, but resources are stretched to their limits. During my time there, the drought was declared a national emergency. For a crisis of this scale, the government needs support to reach everyone affected. We have launched an emergency response to support communities in Kenya affected by the drought. We are providing pregnant and lactating mothers like Iyesa and Nasino with nutritional support and treating children who are malnourished. We are also distributing weekly cash transfers to families so they can buy food or other urgently needed supplies. With your help, we can reach even more families who have lost their livelihoods and are at risk of starvation.